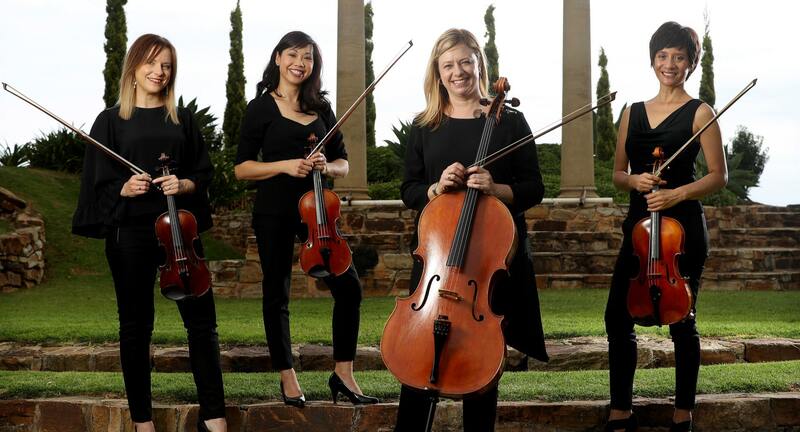 Amicus Strings is an experienced, award-winning professional string quartet based in Adelaide, South Australia. We specialise in playing background music at wedding ceremonies and receptions, corporate functions and events, as well as performing numerous concerts each year. Our players have performed all over the world and collaborated with local, national and international artists. As a commercial quartet, we have appeared on television and recorded numerous television commercials; some of which are currently on-air in Australia. Our repertoire is diverse and extensive and we deliver high quality performances of music ranging from classical to jazz and modern covers. From Bach, Frank Sinatra, Beatles to Coldplay and Ed Sheeran, our music will set the perfect soundtrack for your function. To listen to some of our music samples and to see some high-definition video clips, please click here. We are proud of our reputation as a friendly, reliable, accomplished and highly acclaimed group of musicians who provide excellent customer service. Our communication is prompt and we work with our clients to achieve the best possible result for the occasion. On the day of the function, our clients can be assured that our organised team will manage the entertainment. Since our formation in 1996, we have performed at over 2000 weddings and events, and is one of Adelaide’s busiest string quartets. With a wealth of experience behind us, we look forward to entertaining you at your next event. Please contact us to make a booking or to discuss your wedding, function or concert requirements. We will be delighted to perform for you.